BUT HER EMAILS: NRA TV Host Calls For Firing Robert Mueller Because "We Investigate Crimes, Not People" - Joe.My.God. “Trump, whose actual lawyer, not his fake lawyer, not his friend who is a potential co-conspirator here, his actual lawyer, his offices get raided in the middle of day, Pablo Escobar or John Gotti-style in the middle of New York. Folks, this is unreal. I don’t know what Cohen did wrong but what would have happened if he would have taken a BleachBit program, bleached all his emails? Or maybe taken a hammer to his Blackberries? Oh, sorry, Hillary already beat him to the punch on that one. Damn. “Hillary’s already set precedent for BleachBit and hammers and Blackberries and stuff like that. By the way, we still don’t even have Hillary’s 30,000 emails. Why aren’t they raiding her house in Chappaqua? Why? Answer me! Fire Bob Mueller, fire this guy now. This is a disgrace. We investigate crimes, we don’t investigate people. 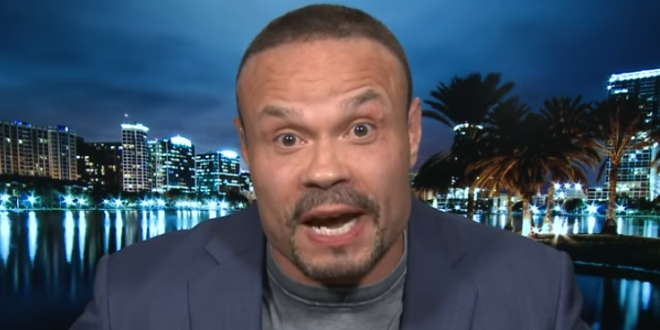 This is clearly a witch hunt.” – NRA TV host Dan Bongino.